Fast Mobile Locksmith in Oak Creek? 24/7 service. This means you can never be stranded at any time of the day because of a lock problem. During weekends and at odd hours also, mobile locksmiths are available to serve you if you are locked out of your residence or car. 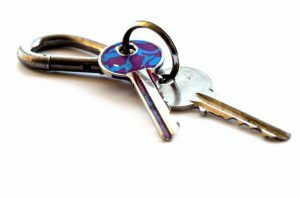 Even in emergency situations, wherever you are, mobile locksmiths can come to your aid and cut new keys on the spot. Of course, they have all the necessary tools. This means that you do not get to book an appointment and wait a long time for the service. They arrive on spot. Specially trained to arrive at the scene on time and attend to clients swiftly, mobile locksmiths take little or no time to locate you even in remote areas. Imagine being in a hurry for an important event, and you notice that your car has ignition problems. You feel devastated. Your mobile locksmith in Oak Creek can get to you in time, and you would still get to attend that event. If there was an attempted break-in, you definitely need to change the locks as soon as you can, and what other service to call, than that of a mobile locksmith? They provide anytime road assistance. The services of a mobile locksmith are not just limited to only locks. They also provide specialized services. If your vehicle breaks down, or you are out of gas, you have flat tyres, need a battery jump-start service, just to mention a few, you can easily get the assistance you need. You can program any of your key remotes with the help of a mobile locksmith. Mobile locksmiths even specialize in forensic locksmithing. Reassurance. Knowing you have an efficient locksmith to fall back on if you have any lock problems, makes a whole world of difference. This is because it is always going to be stress relieving, refreshing, and convenient. You can have peace of mind because there is no closing hour. This implies that you can assess your mobile locksmith anytime the need arises. Due to all these reasons, it is necessary to have a mobile locksmith on your speed dial rather than attempt something borne out of desperation. This will eventually save you time and money in the long run. Need a professional mobile locksmith in Oak Creek. Call Racine’s Lock and Key at (262) 509-0366 for your complete, end to end locksmith requirements. Our technicians undergo extensive training and certification. We work with mortice locks, cylindrical locks, door knobs, car key replacement, installation of new ignition for cars, removal of broken car keys, rekeying, master key systems, and transponder car keys.